Creativity is magic. It’s the divine spark of the imagination. Creativity is to dream, express, build, reinvent, and plan; it is problem-solving at its best. But there is a shadow side to creativity. Along the way, we encounter blocks, or fear of sharing our work, or the lack of trust in our ideas. In this special gathering we’ll break through the blocks that inhibit our expression and expansion, while cultivating confidence in the process of our creative endeavors. Breathwork is an active mediation that uses a 2-part breathing pattern, which helps clear the body of anything that you’ve been holding inside of yourself that isn’t serving you. The meditation itself is highly cathartic and slightly psychedelic, helping to free the mind in order to expand the heart. 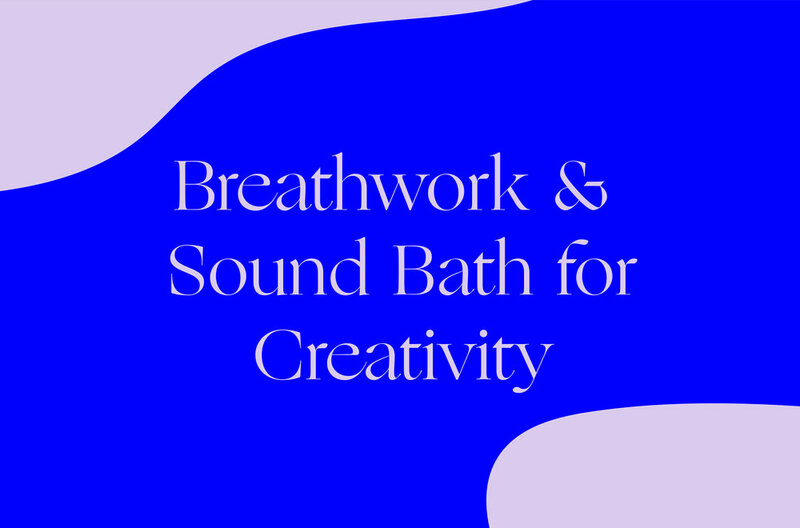 Soundbaths are an orchestration of meditative acoustic vibrations that work energetically and therapeutically. Harmonies and overtones of crystal singing bowls, chimes, gong, and more provide the soundtrack of healing frequencies. The flow of sound is a wonderful complement to support the cathartic energies of breathwork. These soothing vibrations will encourage deep, restorative rest and integration of our shift in consciousness.